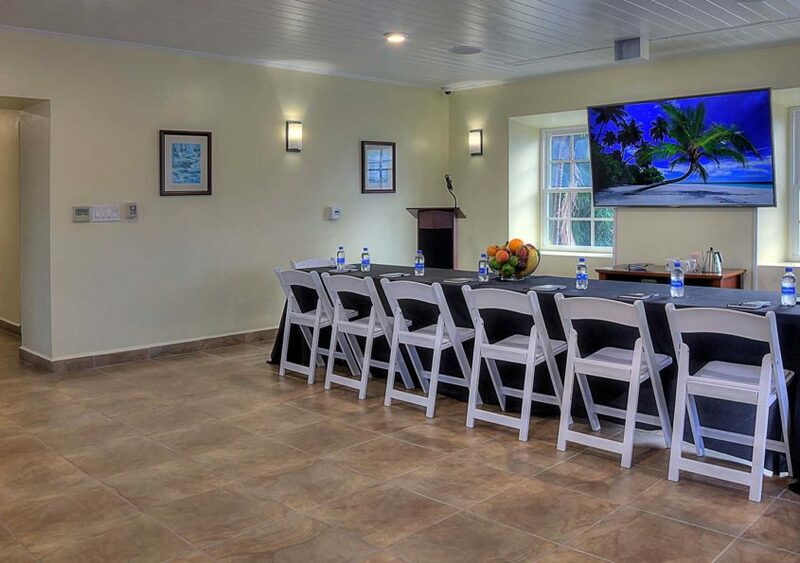 Bring your meeting to Christiansted. 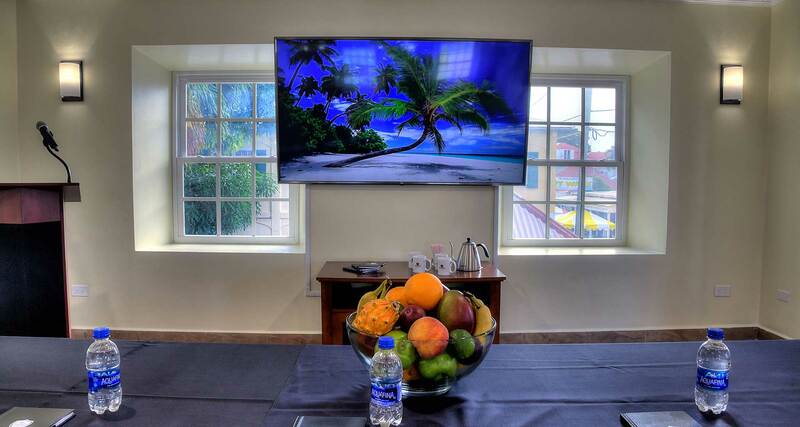 Stay with us and host your conference here or bring your guests in just for the meeting. 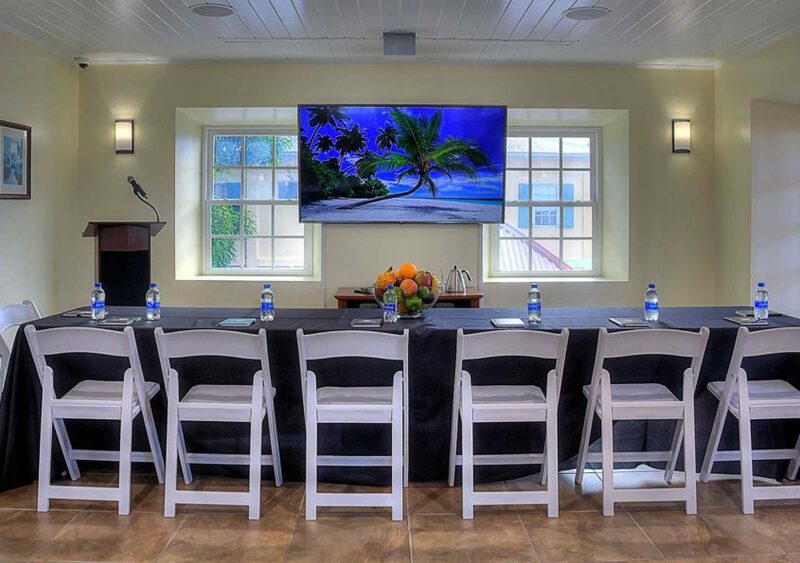 Book our air conditioned conference room on the second floor of the Company House Hotel. 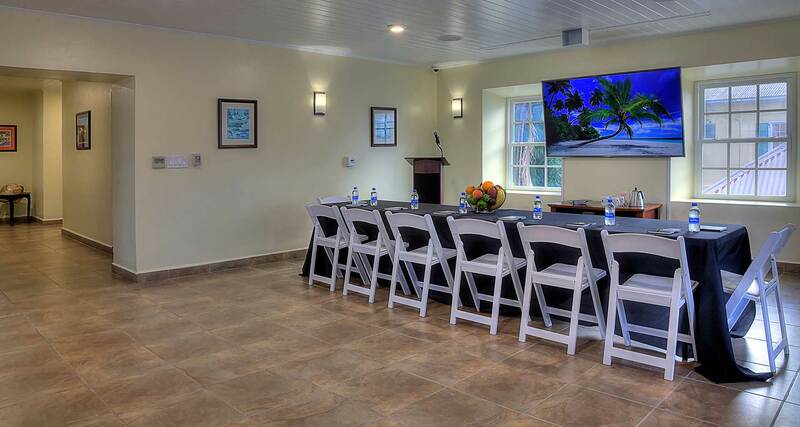 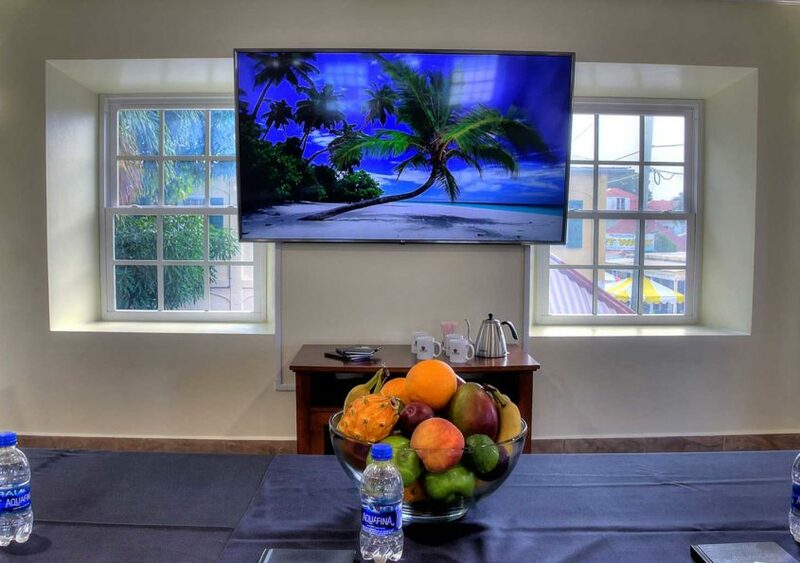 It is the only Christiansted meeting room of its kind! 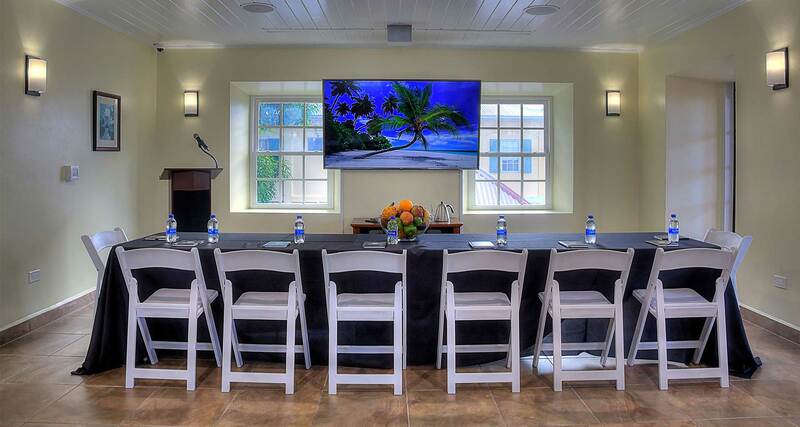 Our room can accommodate up to 55 people with seating and chairs and 117 without. 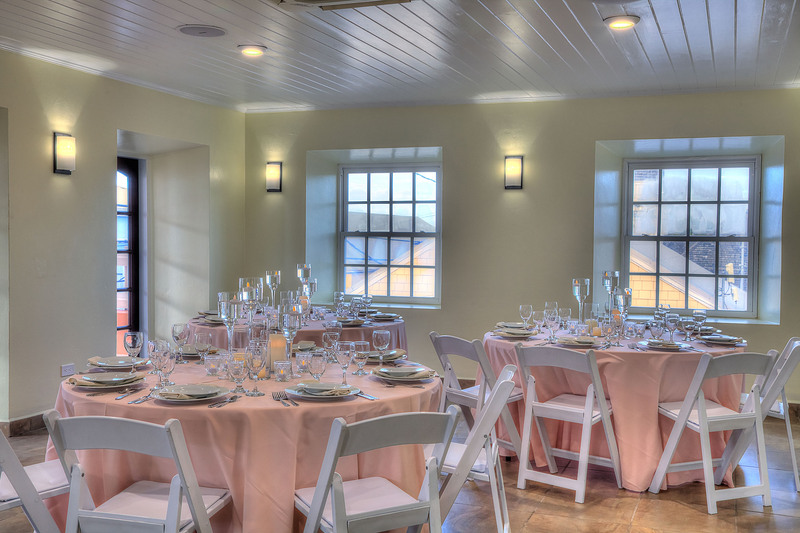 The balcony can host another 23 people with seating or 50 without. 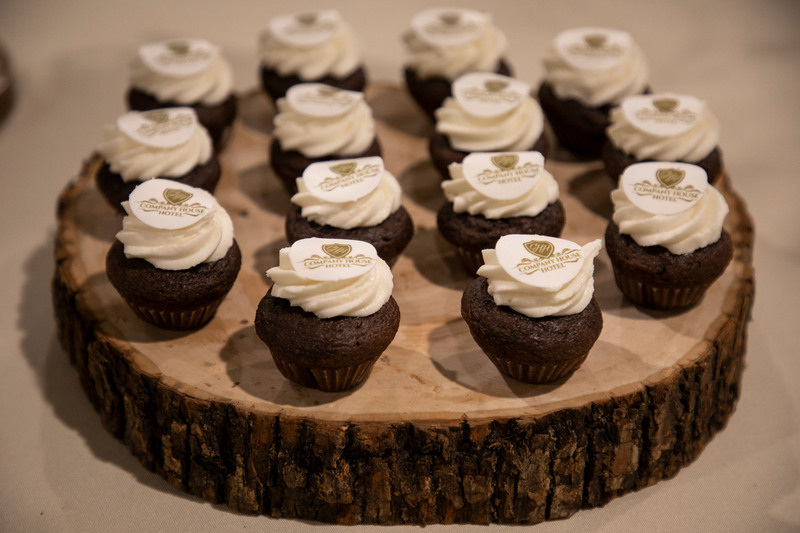 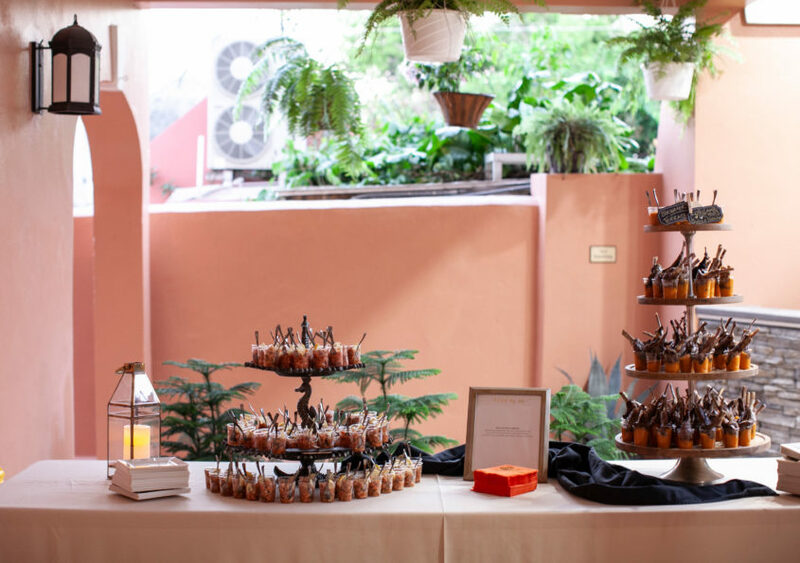 For more details on hosting your event, contact us directly at 800-524-0410 or info@hotelcompanyhouse.com. 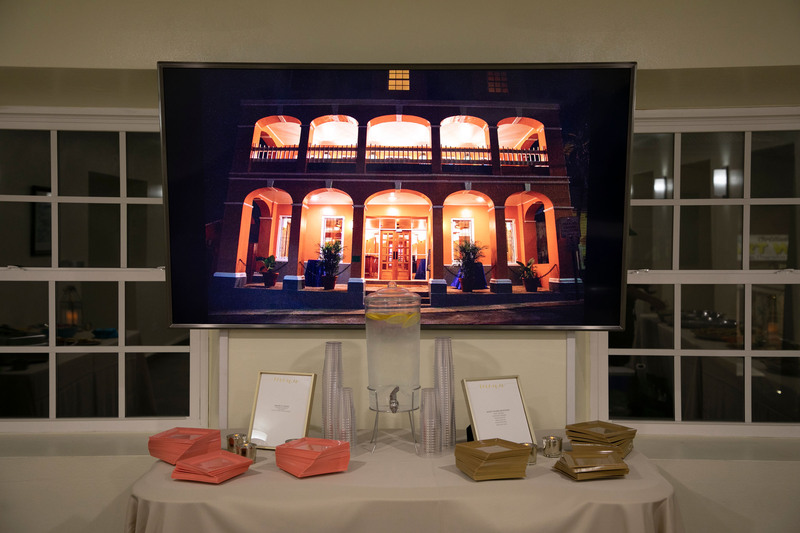 Take a virtual tour from our lobby and upstairs through the conference area. 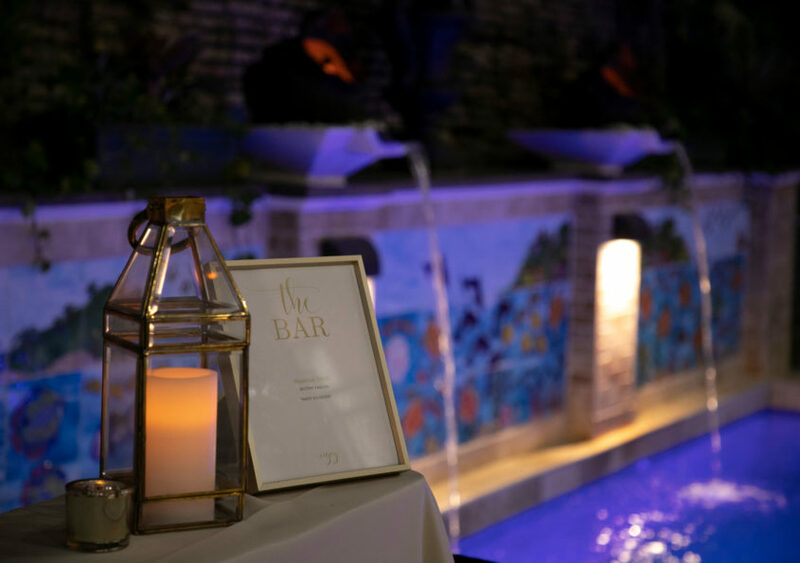 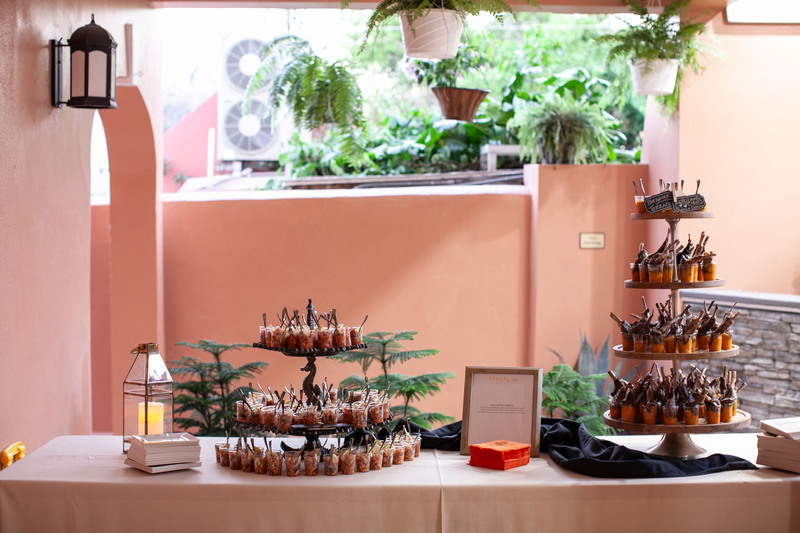 Plan your party around our event space. 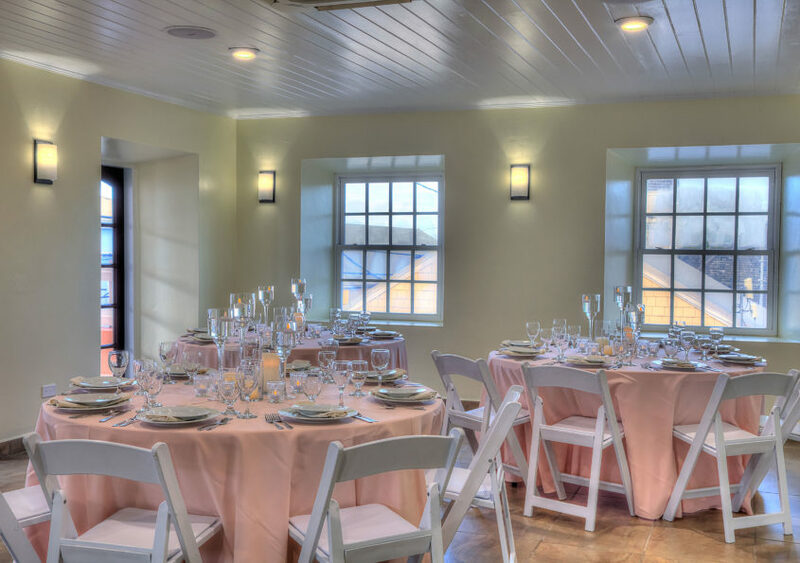 Whether you are getting married at Fort Christiaenvaern or hosting a fashion show in a Christiansted boutique, open up the reception to a bigger audience with our air conditioned event room. 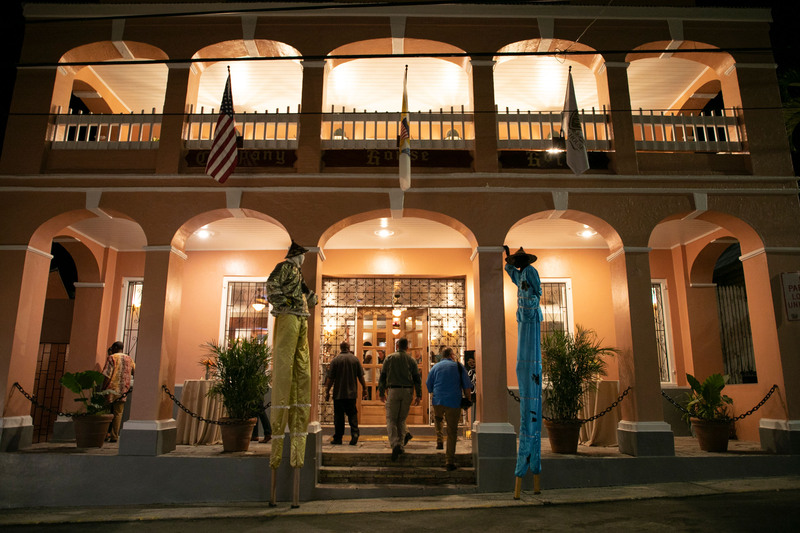 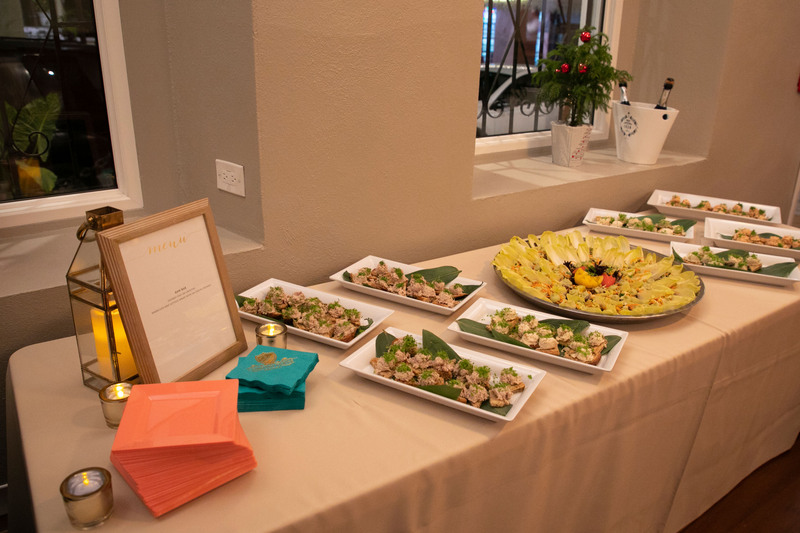 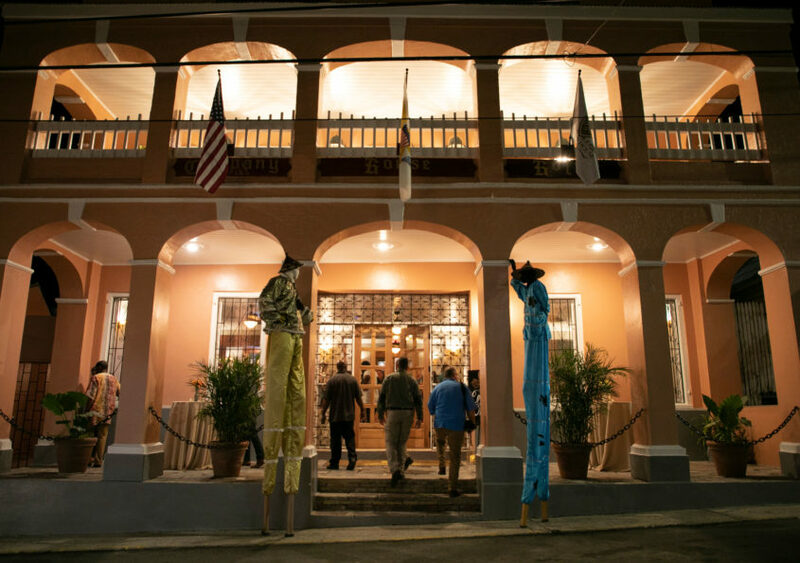 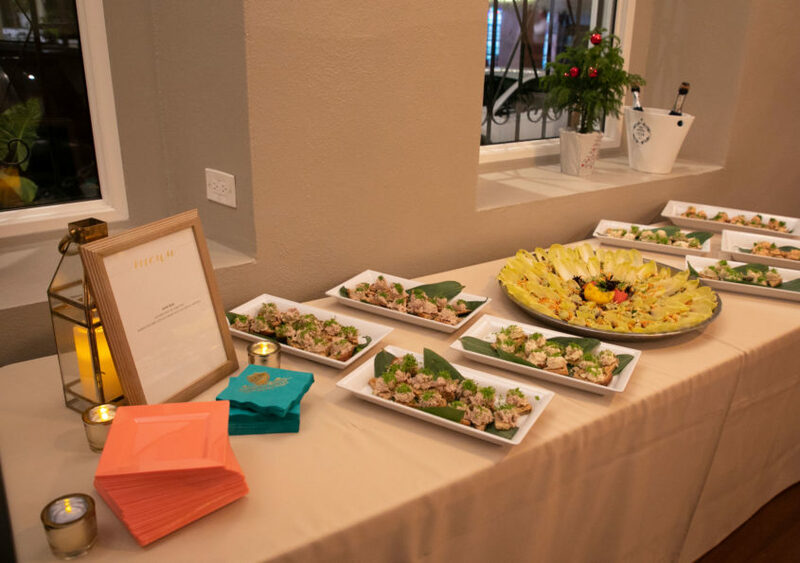 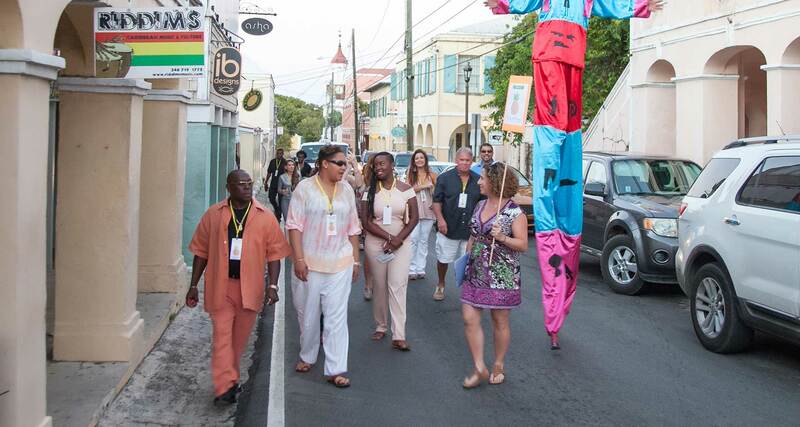 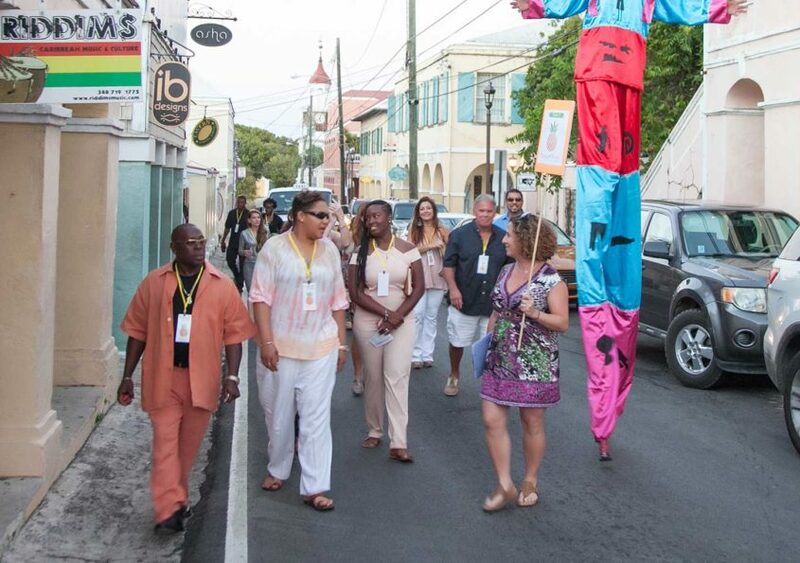 Host your next corporate event or conference in downtown Christiansted. 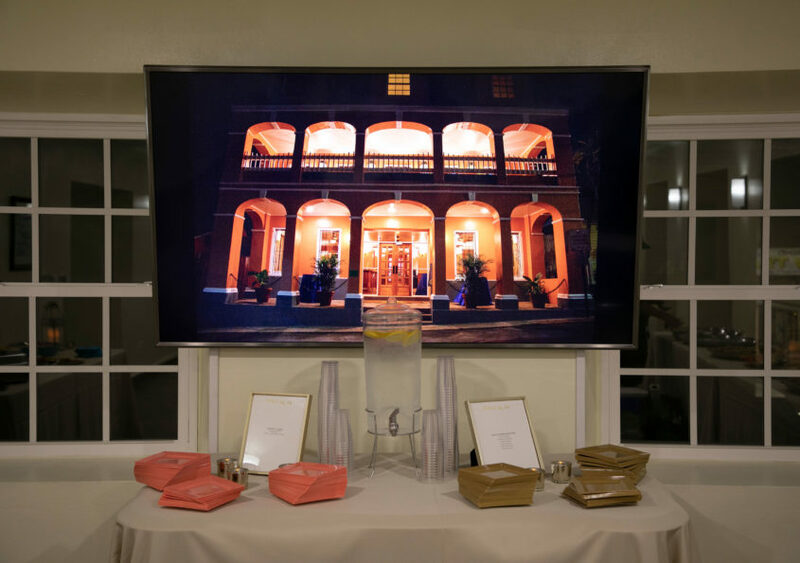 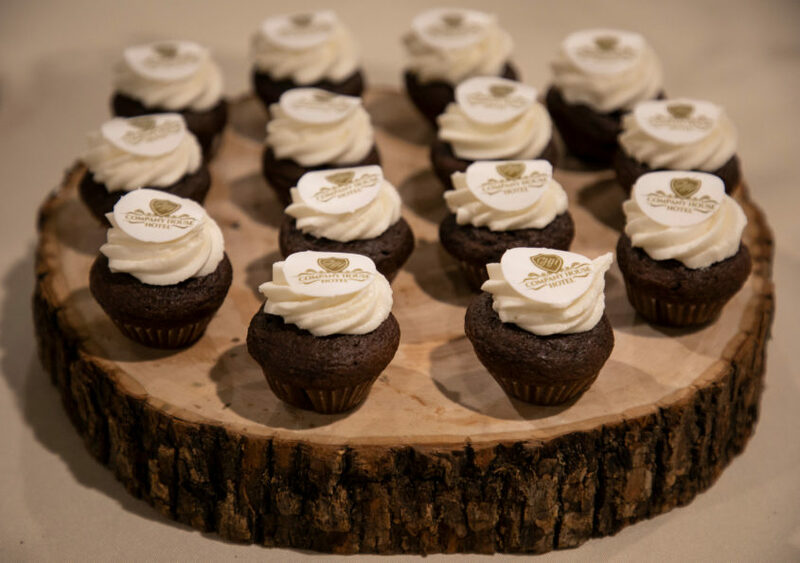 Plan your event or meeting where your guests stay or take advantage of our walking proximity to dozens of other event amenities.